Rite Rate is a licensed and experienced plumbing, heating and air conditioning company in Butler, NJ. We’re specialized in handling all residential and commercial plumbing and HVAC installations, repairs, and replacements. We have a team of licensed contractors that are highly trained and qualified to offer you everything from a toilet installation to heating repair in Butler, NJ! Give our plumbing, air conditioning, and heating company a call if you’d like to request a free estimate! Our heating company in Butler, NJ is available 24/7 to provide emergency heating repair of boilers, furnaces, and hot water heaters. Our contractors are certified to fix any heater regardless if it runs on electric, steam, gas, oil, or dual fuel. If your heater is beyond repair, we’ll also replace it or any of its broken parts such as the burner, fan, or heat exchanger. When you need a new heater installed, we can suggest the right one for your house, office, or business and then install it quickly. Whether you need heating repair or a new gas furnace, our heating company has the solution! For affordable air conditioning services, call our air conditioning company in Butler, NJ! We provide air conditioning services such as AC repairs, replacements, and installations. At Rite Rate, our contractors are licensed to service any heat pump, packaged air, ductless air conditioner, central AC, and air handler to name a few. There’s nothing we can’t handle when it comes to your residential or commercial air conditioning system! Let our air conditioning company provide you with the best air conditioning services in the area! Are you having trouble with a leaking faucet or clogged toilet? Is your kitchen sink or bathroom shower beyond outdated? At Rite Rate, we offer affordable plumbing installations, replacements, and emergency plumbing repairs. 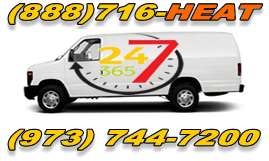 If you need urgent repair for any of the plumbing in your home or business, we’re here to take care of you 24/7! Water in your basement, frozen pipes, and clogged sewer lines are a thing of the past when Rite Rate plumbers are on the job! Our team of expert plumbers can repair, replace, and install all pipes, drains, toilets, sinks, showers, faucets, bathtubs, and sump pumps. We even carry out effective sewer and drain cleaning and utilize video camera inspection to locate clogs and leaks. Call Rite Rate today for a free plumbing quote!